Happy Thursday Everyone!! I'm back with some more naptime confessions this week. Enjoy! - Thank you for all the advice on discipline. I've downloaded some books, started some reading and I'm trying some new techniques. I'm hoping we're making progress. - I spent all day yesterday thinking it was Thursday and almost cried when I realized it was only Wednesday. - Is there a 7 month sleep regression?? Because Matthew used to sleep 7-4:30 and lately he's been up 2-3 times a night. It's killing us. We're trying to sleep train but Matthew's room is right across the hall from Miller's and he's woken him up a few times with crying and waking a toddler is a lot worse than an infant so we're not sure what to do! 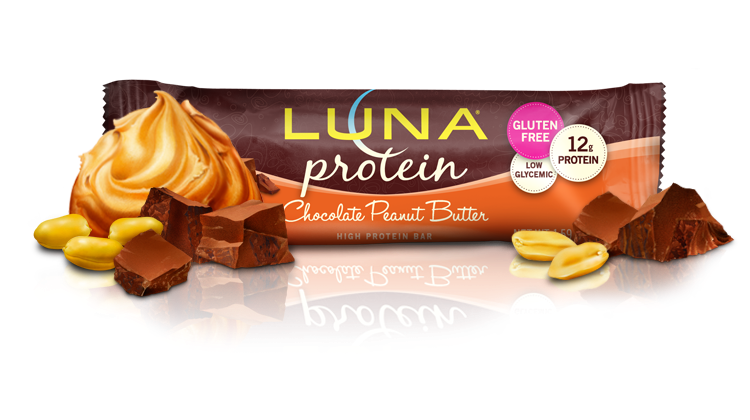 - Thanks to everyone's suggestions I've been eating these delicious Luna protein bars. They are the perfect afternoon snack and totally help my sweet tooth! - I started watching that new show Unreal on Lifetime and so far I really like it. Yes it's over the top drama but I love having something besides Bachelorette to look forward too now that my regular shows are over. 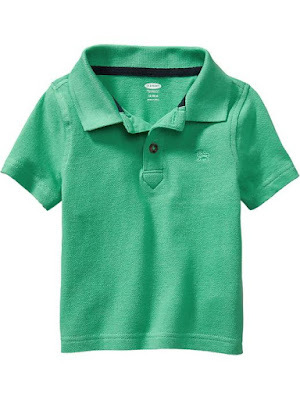 - Looking for affordable polos for little boys? Old Navy is my go to! I prefer pique over jersey polos for Miller and ON usually has them for $7 if not cheaper a piece. - I've started drinking Diet Coke again daily. I kicked the habit for awhile but now it's back and I know it's a bad one but they're just sooo good. What are your confessions this week?? I have felt as though Cam is gowing through a regression too! He woke up at 3am a few nights ago and would not go back to sleep, so I finally caved and fed him at 4am. I was so worried this was going to be the norm and I was going to have a NB again... But, he's been sleeping until 6 - 6:30 again thank goodness. The diet coke addiction/struggle is real... I tell myself I can have one if I drink at least 2 liters of water during the day first. Love those ON polos!! Oh sleep regressions...so miserable! Does Miller have a white noise machine? We use doma and they've helped keep the other asleep when one wakes (even when they shared a room). Thursdays are my favorite days too but if we had a cleaner that day I can only imagine them becoming better!! Cannot wait to hear your news! I drank a massive diet coke Monday afternoon against the advice of my nurses and it was amazing! But I figure I don't have many vices in life so its ok! Have a great weekend! I too hope all goes fast and smooth for you. Happy Thursday beautiful!! Hey, I ALWAYS look forward to my wine! ;) And you're so right about the Old Navy polos. I went to our local one yesterday and found some on clearance for $.97! I couldn't believe it! I swear I got about 15 things for Walker for about $60. (And of course a few workout tops for myself...) Happy Thursday/Friday to you! I've never tried those Luna bars but they look so good! I want a cleaning lady so badly! It must be heaven. I did think a 3rd baby for a second....ha. My cleaning lady was coming on Thursdays too and it was the best day. I cancelled the service for a while though to save a little money. I miss them so much. I know Diet Coke is so bad according to lots of internet articles but I really have no desire to give it up. IT IS SO GOOD! Old navy does have such good deals on baby clothes!! I love shopping there! & woo hoo for a Thursday/Friday!! I love Luna Bars too! I haven't tried a flavor I didn't like. I jumped right back into daily Diet Rockstars after I had my last baby a year ago. Need to STOP! I'm not a coffee gal, so it's hard. I need to try to switch to green tea. Tuesdays are my fave because that is the day my house gets cleaned.....Don't tell my husband, but I try to get home early on Tuesdays so that I can lay on our bed and pretend our house looks like this every day of the week....ugh. I was just thinking that I need to order Greyson more polos. I am going to get them all at ON for that price!! Could he be teething? Sophie started cutting teeth really early. I think she was right around Matthew's age too. And it's what caused her to wake up a lot, when she finally cut them her sleep schedule went right back to normal. Either way, hope you find a solution soon! I bet he is teething! Emma was sleeping through the night regularly and then all of a sudden was a total nightmare. A fever and a few fussy days later, a tooth popped through. I'm back on diet coke big time too. It's so bad...but so good! Those protein bars really are the best! !